Heading to Europe in the near future? Check the weather report before you go. 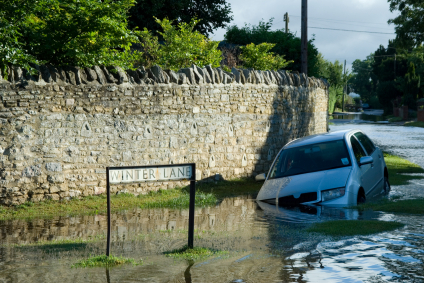 Severe flooding in parts of the U.K. and a heat wave in Eastern Europe have had a serious impact on residents, and could mean a change of plans for travelers heading to the affected regions. In Western England, the counties of Gloucestershire, Herefordshire, Worcestershire and Oxfordshire have been most affected by the region’s worst flooding in 60 years. Many residents are without electricity and water. This CNN International article covers basic details; you can also watch this ABC News video on Weather.com. The Guardian Unlimited has a slide show of the flooding as well. In Southeast Europe, temperatures up to 107 degrees Fahrenheit have caused heat-related deaths and brush and forest fires. Affected countries include Greece, Hungary, Italy, Romania, Serbia, and Turkey. You can find more details in this CNN International article.